Here at Dole Whipped, a question we get asked a lot is “What is the _______est ride at Disney?” Now filling in that blank could be “scariest”, “most relaxing”, “most thrilling”, or something like that. In order to answer that question fully, we each came up with our own answer for each park, a ranking of sorts. So listen in and find out which attraction we think is most thrilling, most relaxing, has the best themeing, etc.! Just like most people, we love to share our opinions. This week we’re giving you our opinions on lots of Disney attractions! We cover rides, shows, fireworks, you name it! Listen in to hear which attractions we love, hate, and what give us ALL the feels! We make it a point to try new things at Disney each time we visit so we can report back to our readers and listeners about our findings. 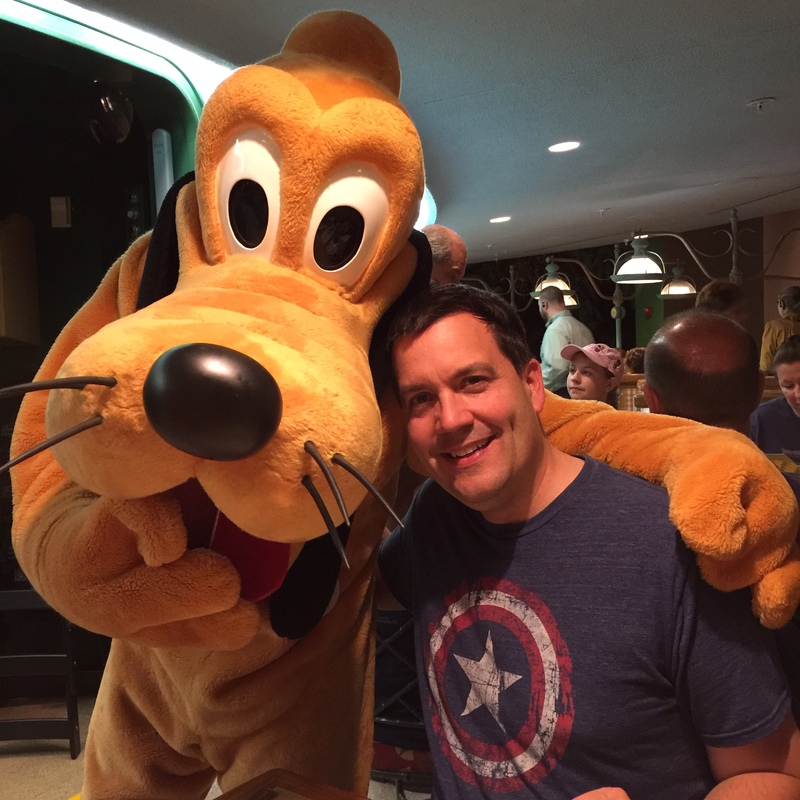 Join us this week as we talk about the most recent new experiences we’ve had for the first time while at Disney! Let me start by telling you how not excited I was for this specific reservation. I am not a farmer fan and so to meet Farmer Mickey or any of his farm friends was a bit of a meh in my book. But, I had heard good things and really wanted to try out the food since so much of it comes from the Land. The Living with the Land boat ride is one of my favorite places to relax in Epcot and I find the massive fruits and vegetables amazing. Maybe I am a farm fan and just did not realize it? 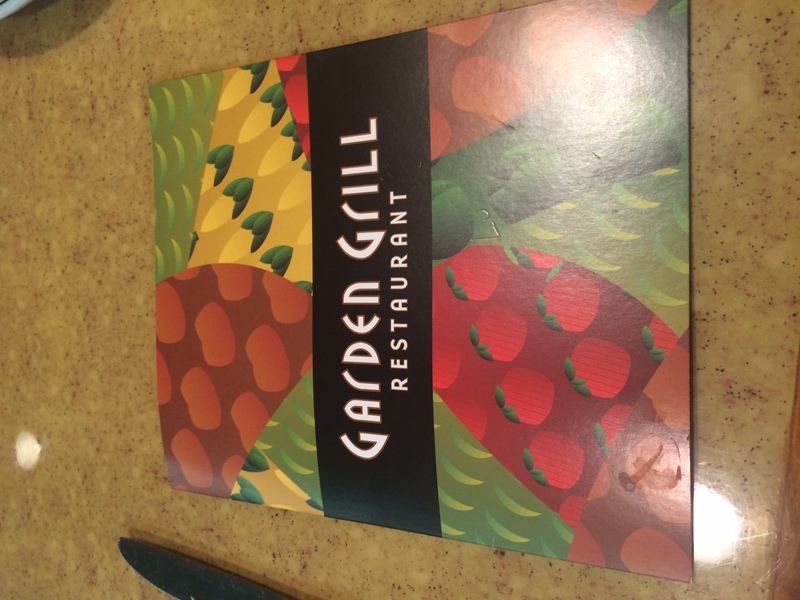 Well, moving on, in my quest to do all character dining experiences at some point I made reservations for three at the Garden Grill for dinner. So, we went and it was a bit chaotic at the host stand but they did have some nice lemon water while you wait. After we were seated the fun began and it was SO fun. 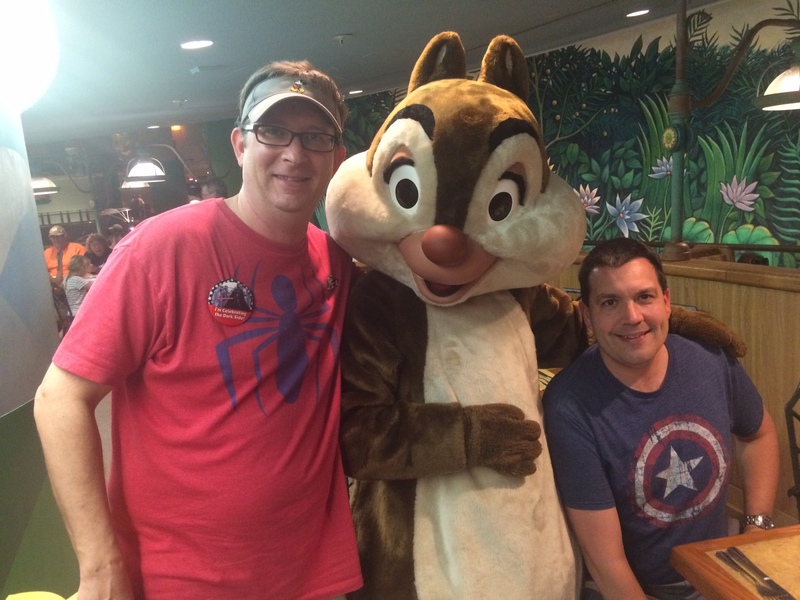 I was so impressed with the hilarious character interactions of Chip and Dale as they played pranks on each other and guests and made it fun to just watch them trot around. Farmer Mickey and Pluto also joined in the fun a ton of the time and were really engaging. Our server was great and was so into his job and not in the overly creepy way but he knew all about the food, the characters and was around just the right amount. 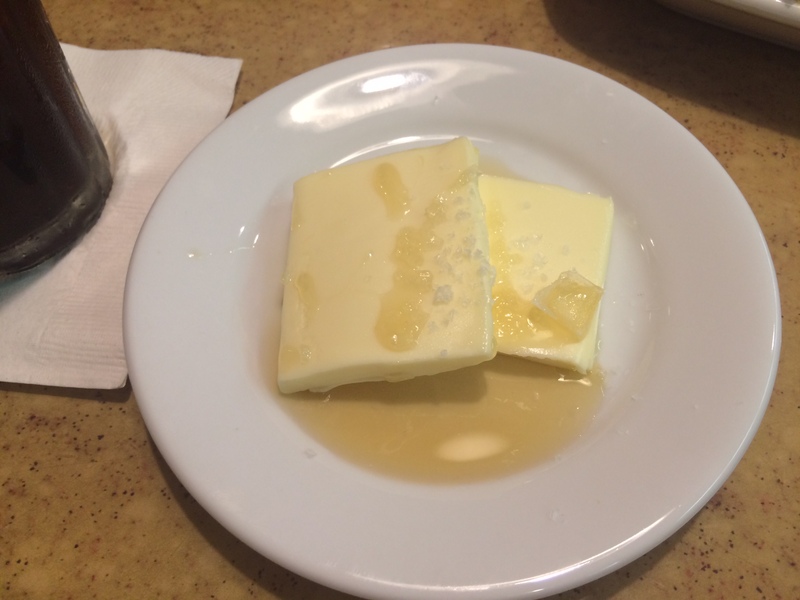 Yes I took a picture of just the butter! happy with most meals but I was beyond happy with the Garden Grill starting with the awesome Orange Blossom Honey butter for the bread (with sea salt, honey and orange blossoms somehow in there) to the macaroni and cheese topped with Goldfish crackers. I never thought that I would enjoy something like that but try it and see – the crunch takes it up a notch. We asked for thirds on butter (hey we were on vacation!) and honestly it was maybe the best butter ever. Have I mentioned how good the butter was? The eating is family style and they bring you a bit of everything at first to try and as you find what you like and want more they bring you those things out specifically. 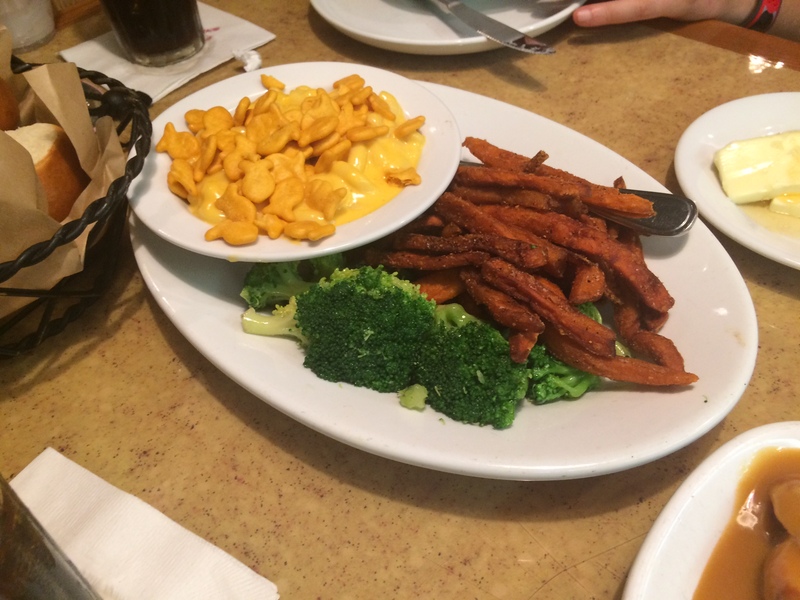 We do not like fish and so from the beginning we said no fish and our amazing server made sure no friends of Nemo were even near our table! After feasting on turkey and filet and broccoli (even the broccoli was awesome!) we were full and in a bit of a hurry to hit our fastpasses for Soarin’ but our server insisted we try the dessert if only for the fresh Vanilla Bean whipped cream. So, of course we did not want to be rude and dug in and finished all of the Seasonal Berry Skillet with fresh whipped cream and then rolled ourselves right on out of there. I will return as often as I can because well, I have a problem and the only solution is more Orange Blossom Honey Butter from the Garden Grill. Have you been? Do you love it? If not, what is wrong with you? Just kidding – that is okay too because more for me!